Increasing the intake of omega-3 fatty acids may stave off risk of developing cancer, suggested a new study. Increasing the intake of omega-3 fatty acids may stave off risk of developing cancer, suggested a new study. If the findings of the latest study are to be believed, a class of molecules formed when the body metabolizes omega-3 fatty acids could inhibit the spreading and growth of cancer. 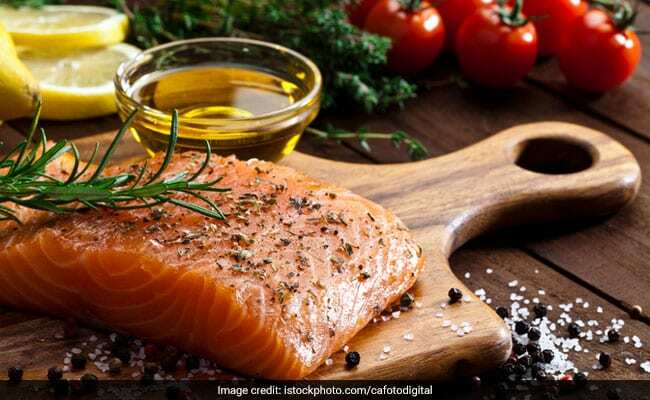 Scientists have emphasised many times previously that one's diet may play a crucial role in inhibiting the development of cancer. The recent study conducted at the University of Illinois, tried to investigate the same using an animal model. The team discovered that in mice the molecules called endocannabinoids, are made naturally by the body and have similar properties to cannabinoids found in marijuana - but without the psychotropic effects. The study that appeared in the Journal of Medicinal Chemistry said that in mice with tumors of osteosarcoma - a bone cancer that is notoriously painful and difficult to treat - endocannabinoids slowed the growth of tumors and blood vessels, inhibited the cancer cells from migrating and caused cancer cell death. In 2017, the Illinois team identified a new group of omega-3 fatty-acid metabolites called endocannabinoid epoxides, or EDP-EAs. The team discovered that these molecules had anti-inflammatory properties and targeted the same receptor in the body that cannabis does. It has been shown previously that cannabis may have some anti-cancer properties, the researchers have investigated in the new study that whether EDP-EAs also affect cancer cells. In mice with osteosarcoma tumors that metastasized to their lungs, there was an 80 percent increase in naturally occurring EDP-EAs in cancerous lung tissues over the lungs of healthy mice. It was revealed that in higher concentrations, EDP-EAs did kill cancer cells, but not as effective as other chemotherapeutic drugs on the market. However, the compounds also combated the osteosarcoma in other ways: They slowed tumor growth by inhibiting new blood vessels from forming to supply the tumor with nutrients, they prevented interactions between the cells. Interestingly, they appeared to stop cancerous cells from migrating. The researchers tried to isolate the most potent of the molecules and are working to develop derivatives that bind better to the cannabinoid receptor, which is plentiful on the surface on cancer cells. "Dietary consumption of omega-3 fatty acids can lead to the formation of these substances in the body and may have some beneficial effects. However, if you have cancer, you want something concentrated and fast acting," Das said. The endocannabinoid epoxide derivatives could apparently make a concentrated dose of the exact compound that's most effective against cancer. Now the researchers are planning to perform preclinical studies in dogs, since dogs develop osteosarcoma spontaneously, similarly to humans to further confirm their findings. They also plan to study the effects of EDP-EAs derived from omega-3 fatty acids in other cancer types. "Particular cancers that might be most interesting to study would be solid tumors or carcinomas, which tend to spread and cause pain within the skeleton. Some of the most common tumors that behave this way are breast, prostate, and lung carcinomas, and we can certainly explore these tumors in the future," Fan added. It's not only rich in Vitamin D but also a great source of Omega 3 fatty acids, protein and phosphorous. Salmon contains high levels of the omega-3 fats - EPA and DHA. These fats provide a number of cardiovascular ease such as reducing inflammation. Add walnuts in your favourite baked dishes, sprinkle it on salads and cereals or have it as it is, walnuts are great in all manner. This nut not only provides you with multiple vascular benefits but also helps you to maintain your ideal weight over time. It is touted to be the healthiest salad and cooking oil. It's cheaper than olive oil and can withstand high cooking temperatures. Due to its low saturated fat content it is said to be beneficial for our health. Chia seeds are not only rich in omega 3 but also vitamins, minerals and dietary fibers. Loaded with calcium, protein and magnesium, these seeds lower the risk of type 2 diabetes, improve exercise performance and also serves as a healthy food for brain. Higher in sodium, they can balance out your meal with low sodium fruits and vegetables. They are usually eaten out of a tin/jar as a snack or you can add them to sandwiches, salads or pizzas. They'd still taste great and provide your body a handful of comfort.